How do you get positive online reviews for your business? Client testimonials go a long way to landing sales. But how do you get them? Client testimonials fill a valuable role in online marketing. They are what we call “social proof.” They show the visitors on your site that other people have seen and used your product or service. And they can see how other consumers reacted to your business based on their own experience. Yes, you should ask your clients to leave reviews. Don’t leave your reviews to chance. Most of your clients won’t think to leave a review, and those who do make an effort are more likely to leave a negative review. That’s just human psychology: we’re programmed to remember bad experiences more than good ones. And in the face of a negative experience, many of us feel like our only recourse is to take our wrath to social media. On the other hand, many of us don’t think about leaving a positive review because we expect good service as a matter of course. We don’t think to go out of our way to leave positive reviews. And even if we do think about it, we may not realize they’re important to you. When you ask for reviews, it sends a strong signal to your clients that you care about their experience. Most of us are more inclined to speak up when we know we’re being listened to. Do you have the opportunity to build rapport with your clients through personal, one-on-one interaction? If so, use that as a chance to ask for a review. Clients are much more likely to leave a review when they feel connected to your company. So make part of your customer relations process to ask your clients to leave a review. The other major benefit of this is that it allows you to influence the type of feedback you get. Is someone struggling with your service? Work with them to fix it before you ask for a review. Does someone love what you do? Let them know how much an online testimonial would mean to you. When it comes directly from you, they’ll be more likely to act on the suggestion. Offer an incentive, no matter what score they give you. You should never, ever, ever buy a review. However, you can offer a small reward to those who leave you feedback, so long as that reward is not tied to the review score. For instance, one of my favorite businesses has a reward point program attached to their services. They offer bonus reward points if you fill out their online survey, and because the surveys are anonymous you can say whatever you want and still get your points. This isn’t only a great incentive, it’s also a fantastic reminder. We’re all human, and it’s easy for us to forget to leave a review, even when we love a service. Don’t forget to include bad reviews. It hurts to hear negative feedback, and you may feel tempted to leave it off your site. However, when you’re including customer reviews on your website, you can’t leave the bad reviews off. You might think this weakens the influence of your reviews, but it actually does the reverse. 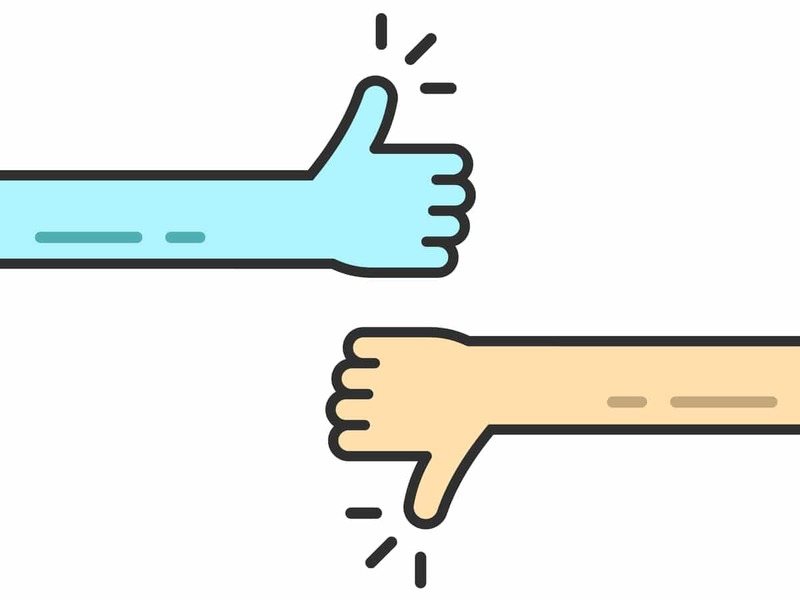 When your visitors see nothing but positive online reviews for your business, it raises red flags about the legitimacy of the customer feedback. It looks as if you’re either censoring your reviews, or writing them yourself. On the other hand, the presence of some negative reviews shows you are transparent about your feedback. Plus, it allows your viewers to read and assess the reviewer themselves. There’s many a time I’ve felt more positively about a company after reading a complaint from someone I felt was unreasonable. Including negative as well as positive online reviews for your business is also good SEO practice. Google will think your site is fishy if it only sees 5-star reviews, as it’s a sign that you could be writing them yourself. A few negative reviews lets Google know your site is on the level. Thank those who leave positive online reviews for your business. Always thank your clients for their reviews. If you ask in person and they say yes, thank them in person, even before they’ve left the review. If you ask them to fill out an online form, finish the survey with a thank you page or an automated thank you email. And if you receive positive feedback on social media, give it a like.